M-Pro 7 answers the call of duty by providing the finest military-grade weapons cleaning systems on the market. 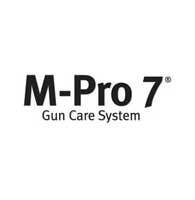 From its technologically-advanced, high-performance gun cleaner and oil to its versatile weapons cleaning kits, M-Pro 7 offers military and law enforcement professionals the most reliable and efficient gun care solutions available. For more information about M-Pro7 products visit www.mpro7.com.